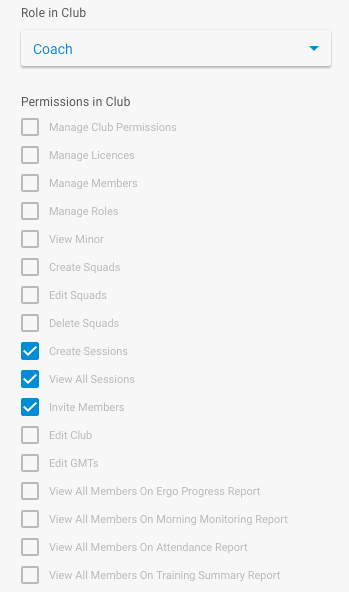 Each role has its own default set of permissions that allow the user to perform certain functions within the club. The Head Coach is a member of the club who is responsible for running the training program. By default the Head Coach has a number of permissions. The Coach is a member of the club who supports the implementation of the training program. E.g. Volunteer coach, assistant coach, support staff. 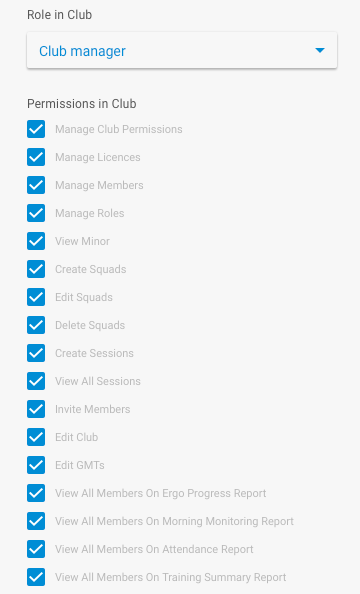 By default the Coach has a number of permissions. The Athlete is a member of the club who is a member taking part in training at the club. 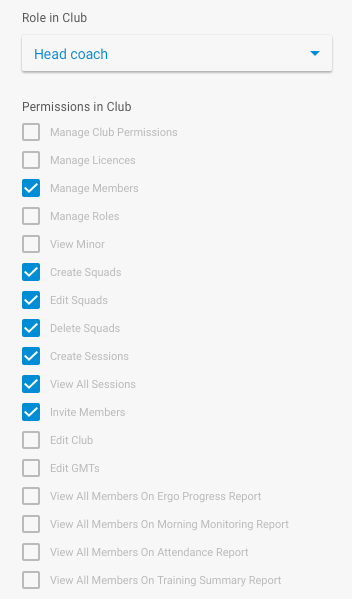 By default the Athlete has a number of permissions. 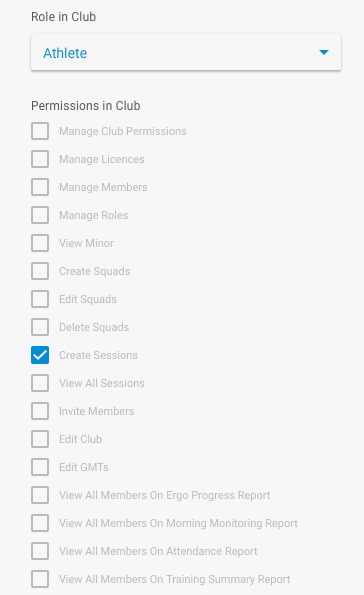 Edit Club – ability to edit club details, such as name, description and change the logo. Edit GMT (Gold Medal Times) – ability to change the gold medal times relevant to the club.